We are now looking forward to your consignments! 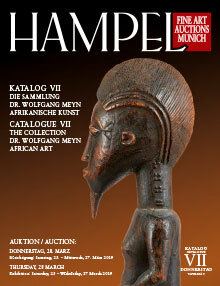 Hampel Fine Art Auctions is one of Europe’s leading auction houses. The publicly appointed and sworn auction house undertakes the mediation of artworks, estates and collections in 15 categories. 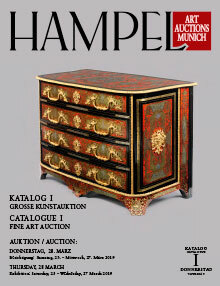 First old master paintings, prominet Impressionist artists, modern works of art, important collectables and sculptures, select pieces of furniture, Asian and Russian Art, ceramics and silver, exclusive wristwatches and jewels and luxury and designer goods are on offer at our auctions. 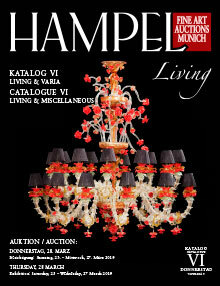 There are at least four large auctions per year with elaborately presented auction previews at our headquarters at Villa Hampel in Munich. 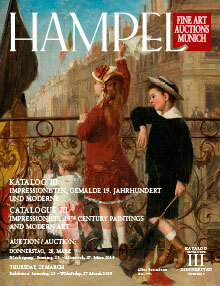 The house presents its extensive art offer in high quality printed auction catalogues and has a diverse digital presence like global live auctions. 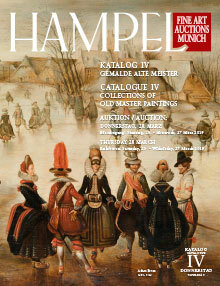 You can arrange a free valuation of your objects or bid at auction at any time. 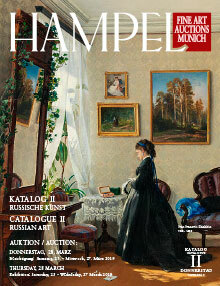 Our experts look forward to your enquiry or your visit to Villa Hampel in Munich. 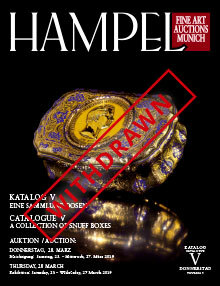 Please find current auction dates, opening times, contact information and dates for our expert valuation days in Munich here on our website.